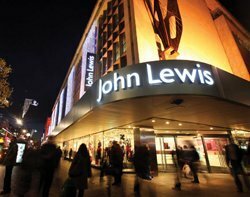 John Lewis is experimenting with internet of things (IoT) and iBeacon indoor positioning technology to shape the future of retail. The retailer is working with startup technology companies to explore this technology, as well as other emerging technologies, including smart labelling and 3D room planning. Today, John Lewis announced five startups which have secured a place in the retailer’s startup incubator, JLab. The finalists represent a range of ideas which have the potential to change the future of shopping. JLab sought out an interesting spread of retail technologies with companies from different backgrounds and in different states of development. Coby was in San Francisco and Seattle last week and told Computer Weekly how impressed he was by the innovation from the big stores in America, especially iBeacon indoor positioning technology and home automation, which he said are “enormously hot on the West Coast”. Viewsy, in-store digital engagement using in-store sensors to track customer behaviour. One of the JLab finalists is a wireless sound system for smart homes. “It’s an interesting use of technology in an area of the home where a lot of people are thinking how devices connect up,” said Coby. Home automation is making waves in security, music and energy efficiency, and John Lewis is specifically interested in the technologies behind smart devices, smart lighting and how the IoT could interact with large electrical goods. Coby said it is important for John Lewis to be at the forefront of this technology, because home automation fits into one of the core pillars for the department store – home products. “Large white goods, IT, sound systems – it will help us understand what people want from this emerging technology,” he said. The five startups will move into the JLab office space in the Level39 technology accelerator and receive initial funding of £12,500 as well as access to John Lewis proprietary technology including platforms, data and APIs. The startups will be mentored by experts including Luke Johnson, chairman of Risk Capital Partners; and Sarah Murray OBE, founder of confused.com, alongside a range of John Lewis leaders. Following a 12-week incubation period, the JLab mentors will select a winning company who will receive up to £100,000 in further investment and the chance to trial their system in-store. He said that the point of the next few weeks in JLab is to give the startups space and stimulus to build on their ideas. He said the startups may come out of the process with polished products or even radically different ideas. He said some of the startups may even put their ideas together.